Drawing since childhood, Joe Barbieri took art classes in high school and studied drawing and anatomy at Nassau College in New York and Northlake College in Texas. 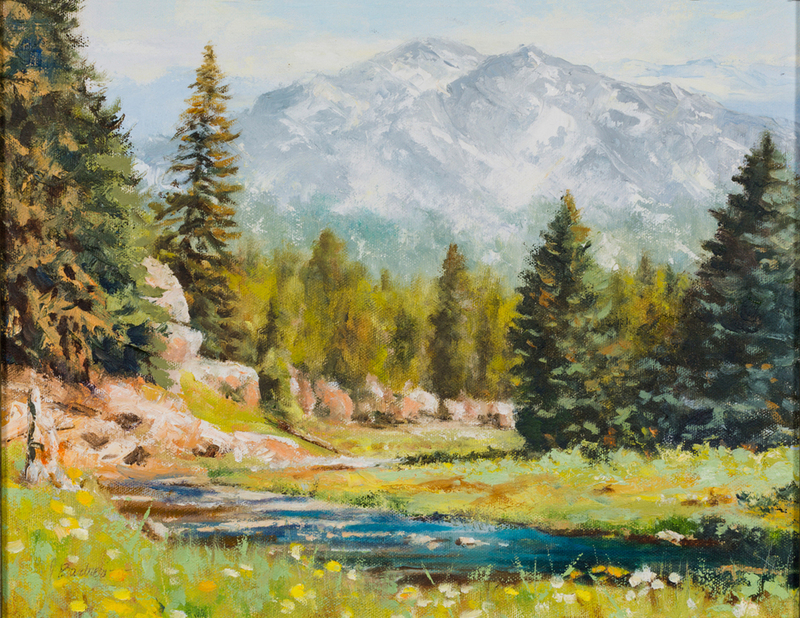 However, it wasn't until he was in his 30s that he discovered the joy of painting and the opportunities it affords to communicate with others. Primarily self-taught, Joe attributes much of his progress to the help of many knowledgeable friends and mentors. He studied under California artist Ron Riddick and received a full scholarship for Research and Development to the Prix de West Invitational Exhibition at the National Cowboy and Western Heritage Museum. Since 1998 Joe has worked with Stanton Glass Studio in Waco where he paints one-of-a-kind stained glass pieces for churches, hotels, museums, and private residences throughout the U.S.
Joe's stained glass, watercolor and oil paintings have appeared in the Mountain Oyster Show, the Peppertree Show, the Salon International Show, the Phippen Museum, Settlers West Miniature Show, and Trailside Galleries Miniature Show. Joe paints commissioned portraits, still lifes, and landscapes, but much of his inspiration is drawn from the agrarian community where he lives with his wife and three children. 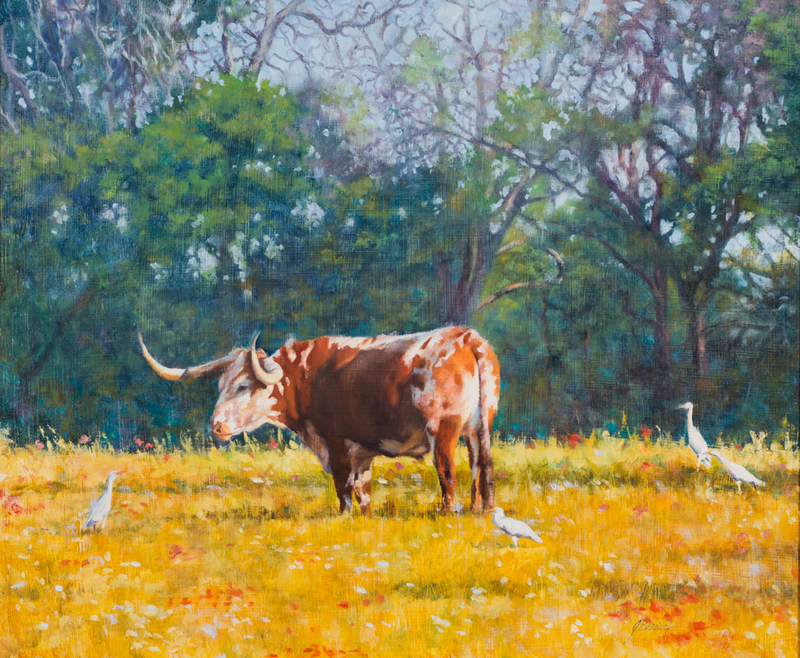 He loves to communicate through his work the vibrancy of the natural world and the simplicity and beauty of the life, people and relationships he enjoys in Central Texas. "Artists have different reasons why they do what they do," he says. "Some paint for the abstract relationships between objects, some for their love of color or design and so on. You might say my work is subject driven. I believe God has given us a wonderful, amazing and beautiful creation. I want to express my appreciation for His work through my art."